The Corsair 28R is an easily trailerable sport boat because of its light weight and low profile on the trailer. 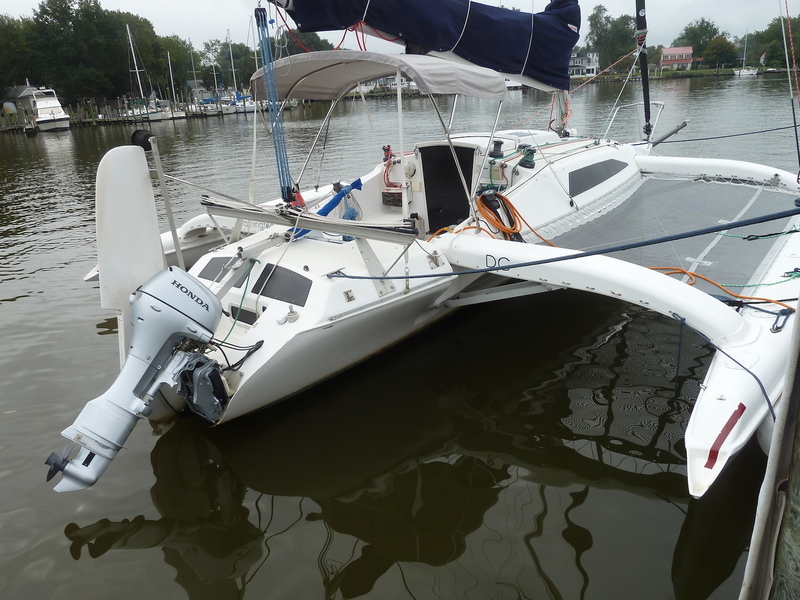 As with other Corsair trimarans, the transition from trailering to sailing only takes about 30 minutes. The Corsair 28R has a roomy, functional interior with all the necessary amenities for comfortable overnight cruising. There are sleeping accommodations for four, a galley area with two-burner stove, stainless steel sink, fresh water tank and pump, and a marine head with privacy curtain and a holding tank. Seat / bunk cushions are standard and are available in over 40 colors and patterns, or may be covered with customer-supplied fabrics as desired. 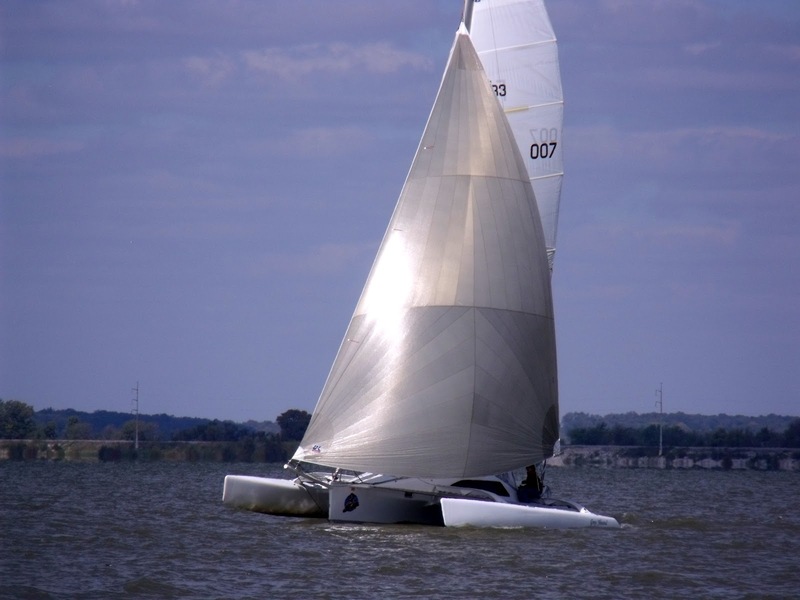 The R model sports a taller but lighter weight rotating carbon fiber mast of airfoil section. The mast is raised or lowered using the installed winch on the trailer. This is a straight forward operation that can be accomplished easily in a few minutes, even with only one person. 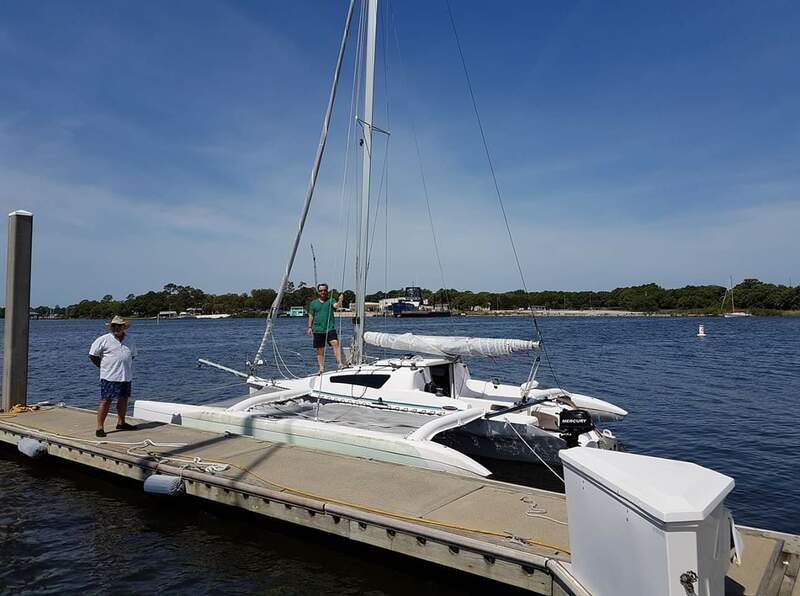 The carbon fiber mast of the Corsair 28R has the double advantage of being more efficient and powerful on the water and of less weight for easy handling on the trailer. The rudder pivots up 180-degrees for trailering. 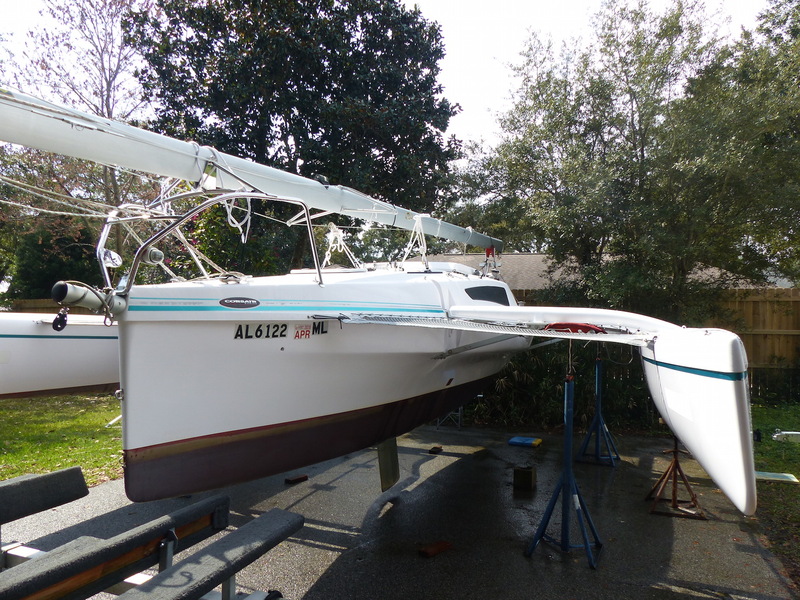 This and the fully retractable daggerboard also enables the 28 to pull in close to shore and anchor in knee-deep water, or even put the Corsair 28 onto a sandy beach.This F-28R comes with an all aluminum trailer purchased in 2012, a full set of new nets in 2014 and a one year old outboard motor. Its going to be hard to find a better deal on the now classic Corsair F-28R. Tohatsu 9.8 h.p. 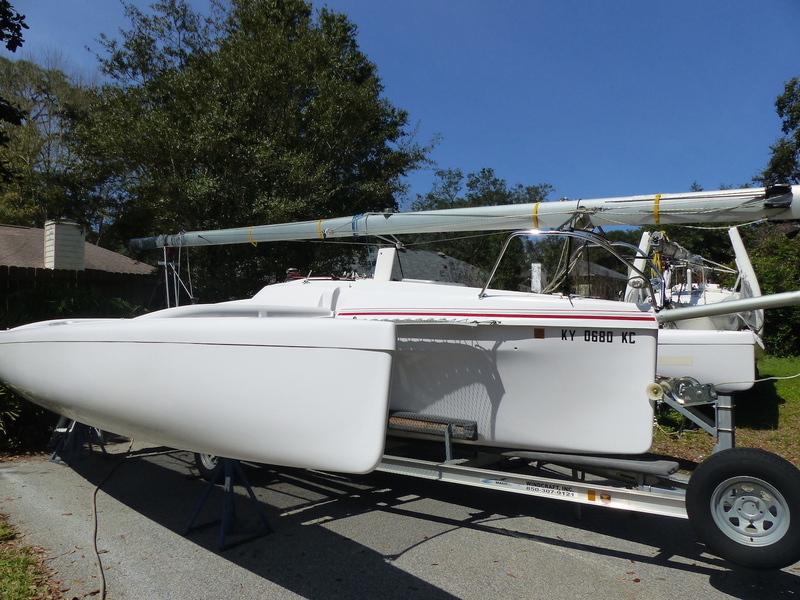 extra long shaft (25″) outboard (NFS9.8BEFUL) with electric and manual start–purchased new in July 2017.